Gymitation Contest entries so far! Two weeks left! Louis Smith in his Union Jack shorts at English Championships. Beloved British Bruin, Danusia Francis, sheds tears of joy for her 10 on balance beam this weekend. 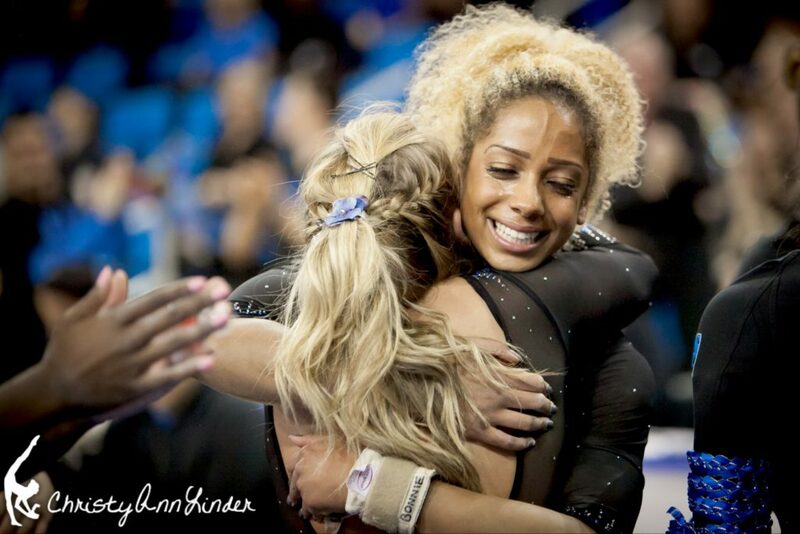 Beloved British Bruin, Danusia Francis, sheds tears of joy for her 10 on balance beam this weekend. Photos by Christy Ann Linder. Check out her photos on Instagram, Twitter or her official website. Norah Flatley, the best thing out of Iowa since Chow landed, is going to Jesolo! The Australian gymnasts have been released from gymnastics prison! We like Georgia Godwin. Low scores, fulls on beam and clean gymnastics at Cottbus. Rodionova, Scheder or Komova… who will be the new queen of the inbar stalder? Broken floor plates, vault mastery and Louis Smith at the English Championships. The 30-year-old swan of Chilean gymnastics, Ochoda ballet’s it up on floor. Danusia gets a 10 on beam with her insanely difficult dismount. 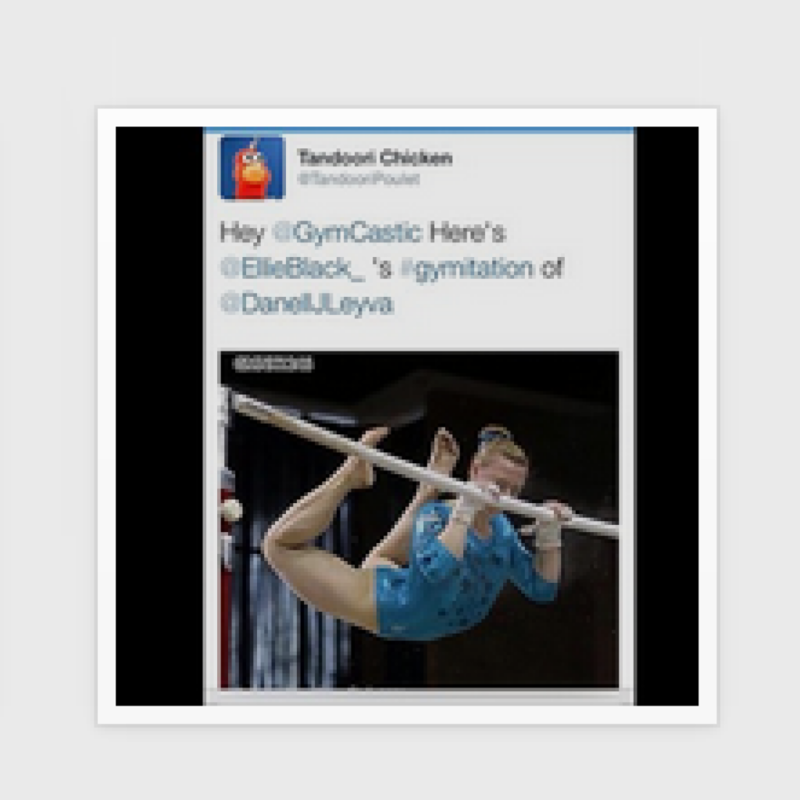 GYMITATION CONTEST: Enter our #gymitation contest by imitating your favorite gymnast. Just take a photo or video of you doing a pose, skill or impression of a gymnast. Tell us who you are imitating, tag us and include the hashtag #gymitation. We’ll pick our favorites to win one of these fantastic four prizes! Check them out here. Alicia Sacramone marries her longtime love. Kalon Ludvingson is on the mend and looking great. Greg Marsden throws a fit about seeding and he’s kind of right. Beth Tweddle robbed of Dancing on Ice win. Thanks for the link. Incredible sad and awful. I think both the new seniors (Kharenkova and Munteanu) had serious nerves in Cottbus. I mean if you look at their potential Ds, Munteanu can get a 6.7-6.8 and Kharenkova has shown multiple different linking possibilities where she usually goes for 6.7-6.8 but if she can do ALL of them in one routine she could get a 7.0(!!!!!!!). Not that she will, but it’s possible. Then again the judges are really strict it seemed. Looking at her routine from finals I could only get a 5.9 if she got some devalued skills and only .2 in CV (from her series bonuses). She seems quite flexible in adjusting her routine mid-routine though so that’s a plus. But I hope she seriously learns to control the nerves, then I could see her in beam finals. But I don’t know if she can do that in a relatively short time. Also considering so much of her difficulty is in CV. Then again who knew Rodionova could hit in finals (lol I love her tho). Thank you Gymnastic Crew for getting me through yet another trip to the ER with your amazing podcastery! You are never boring, funny to a fault and just fantastic to have as an ally as I’ve wait for doctors to figure things out. Special thanks for giving me the idea of wondering what my doctors would do if they had to go through a camp at The Ranch. Imagining Marta whip them into shape really helps me pass what could be a tedious, miserable time with a smile. Love you guys! We love you LaTonya! Wishing you lots of health and fewer trips to the doctor! Had to watch some of the English Championship videos after listening to this podcast. What you said about Catherine Lyons is true. I love the “stare-down” she gives the judges during beam. Can’t wait to see more of this junior. Thank you guys for the entertaining podcasts (makes a long commute to work that much bearable)!